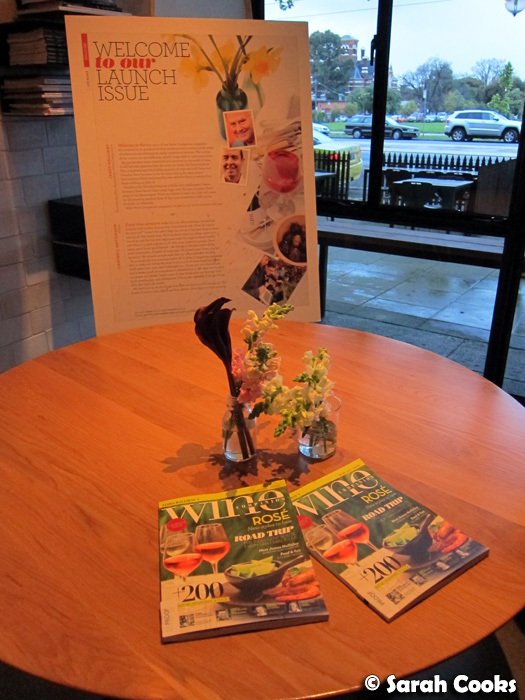 I recently attended the launch of the new magazine, James Halliday's Wine Companion, at Golden Fields. I must admit that when I received the invitation, I was just as interested in the venue as I was in the magazine itself. Prior to the evening, I'd heard great things about Golden Fields, but never actually been myself. You see, I tend to avoid hyped-up new venues, especially if they have a no-bookings policy. I am the type of person who likes to plan my social life weeks in advance, and the possibility of being stuck for two hours without a table is just too much for my fragile constitution to bear! I've also, generally, been quite disappointed with the food at these types of hyped-up venues (e.g. Mamasita, Hu Tong), and can never justify the long wait. I thought that this event would be a good opportunity to sample some of Golden Fields' famed dishes, without the added stress of trying to secure a table! There were loads of people there, and it was great to catch up with some bloggers who I hadn't seen in a while. 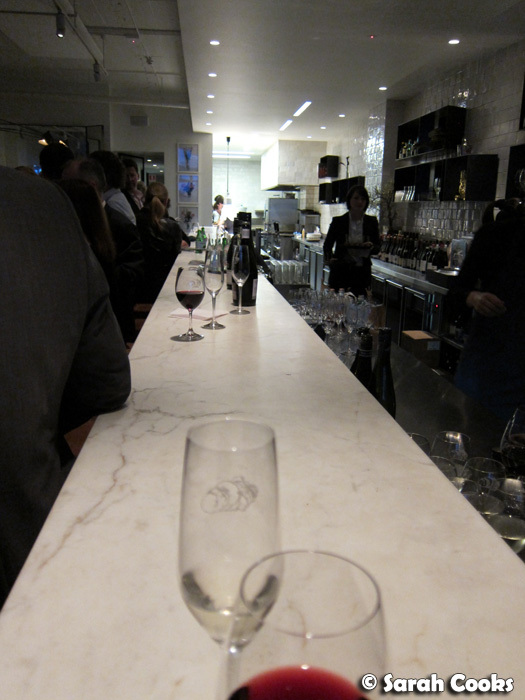 Unsurprisingly, there were quite a few wines being served, including the delicious Pewsey Vale Eden Valley Riesling and the 10 Minutes by Tractor Pinot Noir. I wasn't particularly wowed by the dishes - the cold rice noodles had a lovely texture and a nice garnish of fresh herbs, but overall it was extremely bland. I would have liked a lot more of the sesame paste and chilli oil! The duck was my favourite - I love soft mantou dough! 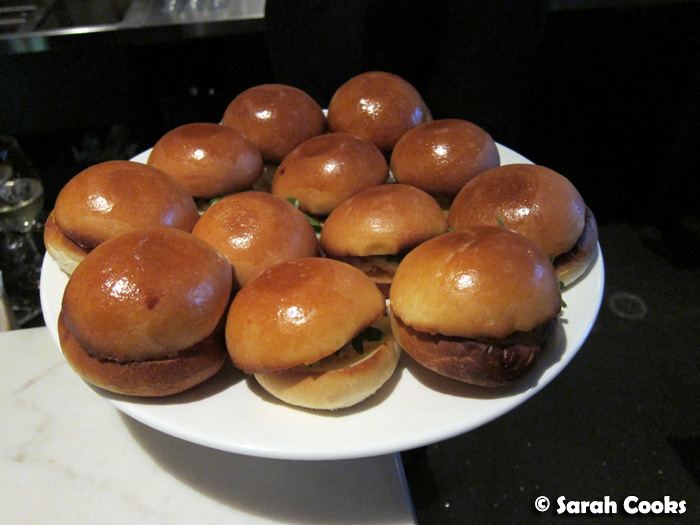 And of course, there were plates and plates of Golden Fields' famous lobster roll. I believe it was Ed who said he wanted to secure a large plate of these lobster rolls, and scoff the lot! I liked the rolls, but didn't love them - another danger of trying things that have received a lot of favourable press: naturally expectations are high. 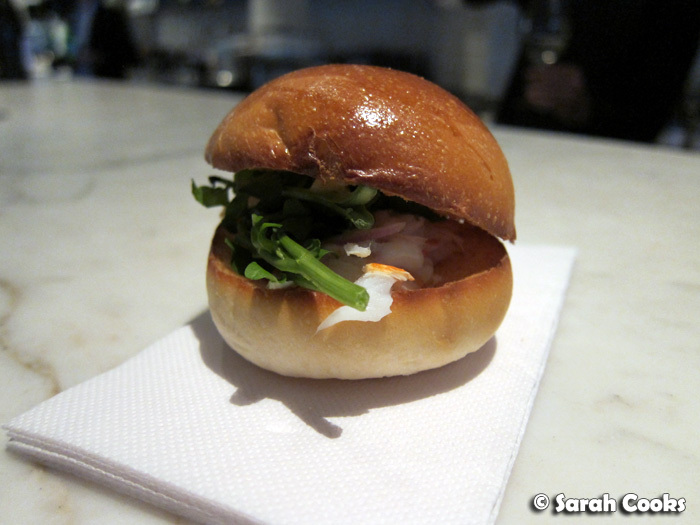 I definitely liked the soft, lightly toasted buns, but felt that there wasn't enough lobster for the bread. 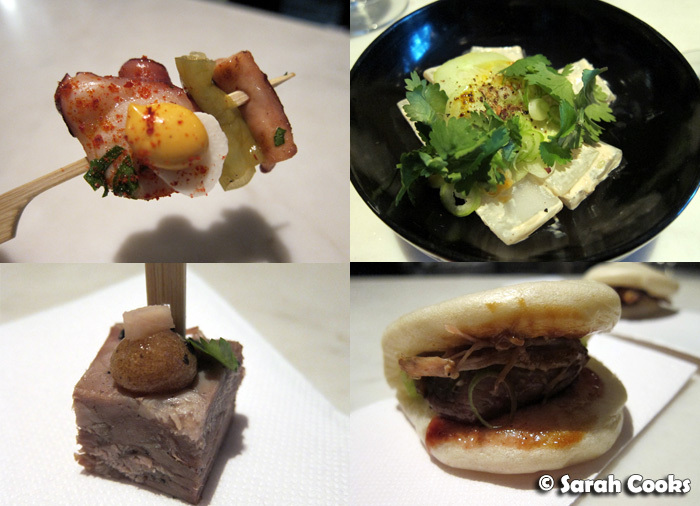 (Although having said that, these were canapé versions; looking at other blog posts, the full-sized version is a lot more generous with the lobster). I've already agreed with my dad that, inspired by the Golden Fields roll, we're going to make our own lobster rolls for Christmas this year, and we're going to make sure they're chock full of lobster! 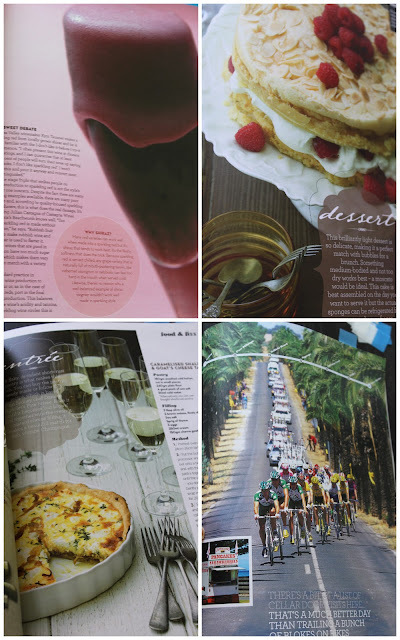 We were all given a proof copy of the magazine to take home with us. I don't tend to read a lot of wine writing, and I was actually surprised by how much I loved it! It seems to be targeted towards people like me: young-ish, enthusiastic wine drinkers, who want to increase their wine knowledge but aren't interested in traditional, old-world stuffy wine writing. 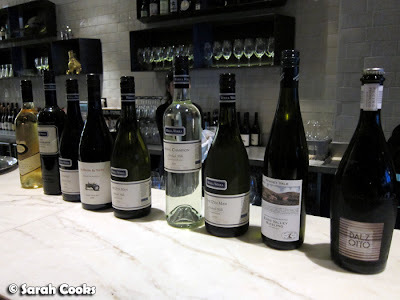 There was only one article by James Halliday himself: a very useful guide to cellaring wines. Having never read his writing before, I greatly enjoyed his clear, unfussy style. 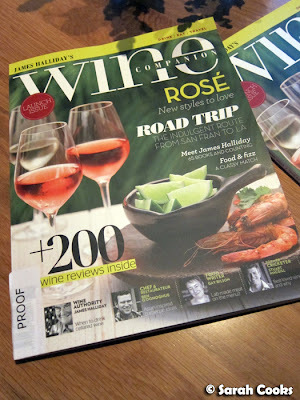 There were also features on rose and sparkling red (yum yum), and some great food and travel features, including - gasp! 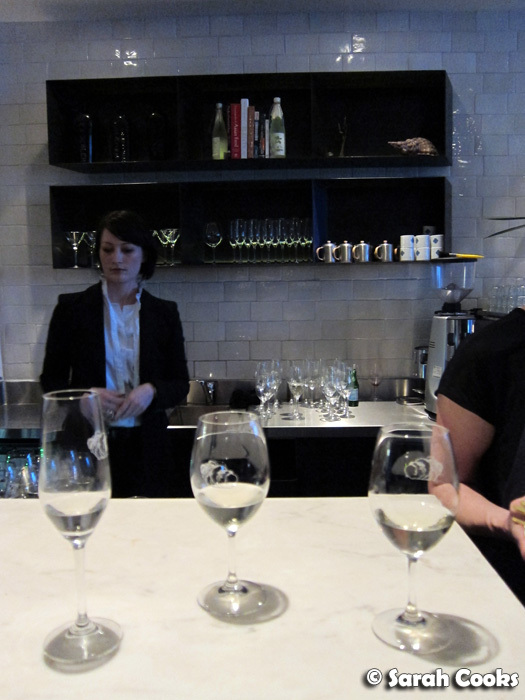 - recipes for a 3 course meal to accompany champagne. Could that be more me?? Do you recognise Seppeltsfield Road in the above picture? Yay, Barossa! The first issue of James Halliday's Wine Companion Magazine will be on sale at the end of the month, and I'm really looking forward to reading future issues. Sarah attended the magazine launch at Golden Fields as a guest. Yeah...feel free to give me a ring when you make lobster rolls...but only if you use proper New England style rolls! I'll either be baking my own brioche, or use those soft white rolls from bread top. Gonna do some experimenting over the Christmas break.